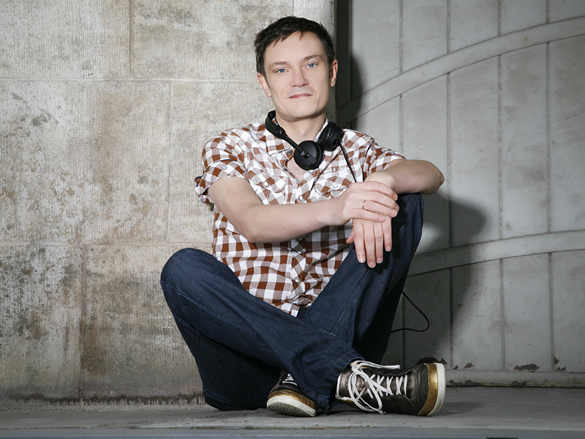 GOGO Music starts into 2013 with the next single taken from Ralf GUM’s gold awarded album “Never Leaves You”, which was the best selling artist album of the year 2012 on prime house download-store Traxsource, too. 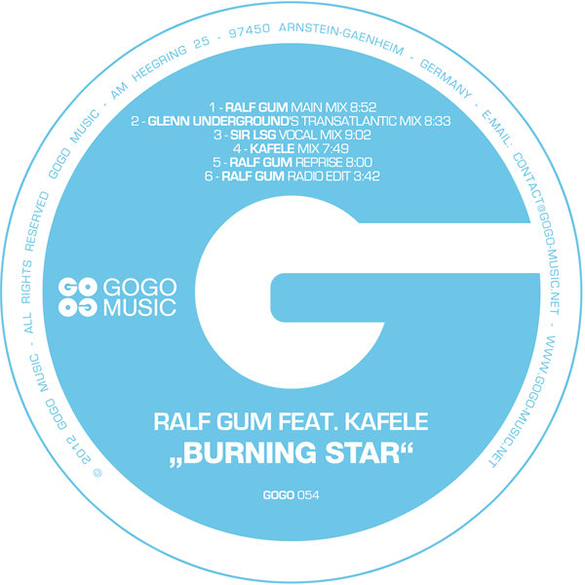 “Burning Star” sees the well-proven combination of Ralf GUM and Kafele in top form and receives now blazing remixes by Glenn Underground, Sir LSG and Kafele himself. This is definitely a mouth-watering release for the connoisseur of soulful music. 2012 was for Ralf GUM one of his most exciting years during his more than two decades lasting highly successful career. 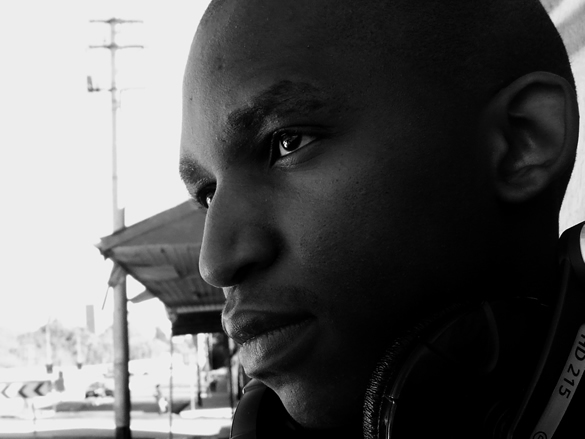 Relocating to the world’s current hot-bed for Soulful House Music, South Africa, he instantly became an integral part of the sizzling scene in the country. He dropped his second artist album “Never Leaves You” with paramount success, as it hit gold status in the motherland, a rare to be found achievement for a deep and soulful house long-player which contains an official number 1 hit in the South African charts with “Take Me To My Love”. But the success of the creative musical genius and his long-player was not limited to South Africa, as it received vast plaudit around the globe and became the best selling artist album of 2012 on Traxsource, too. The single “Burning Star” features Kafele and follows up their joint smash “Complicated”, prosperously released in 2010. Kafele, singer, trumpeter, composer and producer, has been playing the trumpet for over 18 years. Considered a jazz musician par excellence on his main instrument, Kafele was introduced to house music during his 7 years as a Chicago resident. This musically enriched background provided the influences that helped him to cultivate his unique sound, which captures the best of both worlds and much more. 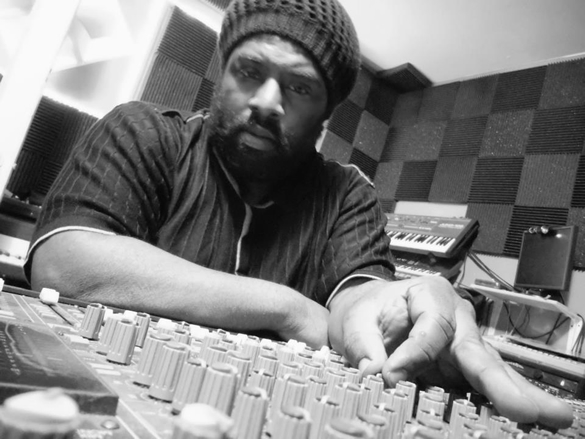 Kafele became a common name in the House scene in a jiffy when he released “Above the sky” with Andy Compton on GOGO Music and ever since proved to be able to write unique, magical and memorable songs. For the first time contributing to a GOGO Music release is Glenn Underground, who’s path crossed with Kafele already some years ago in Chicago. He lends his musical genius to transform the song into a musical journey sounding like a modern version of an “Incognito” track. His mix comprises in noble manner many of Glenn’s early influences such as disco, jazz & soul and carries them straight to the dance-floor. Sir LSG, the man behind the 2011 club-smash “Sax In The City” (under his former moniker “Hood Natives”) delivers a choice mix with a lightly afro-influenced beat and soulful, deep instrumentation, including Saxophone stabs and soli by comrade Mac Z. LSG’s mix of “Burning Star” is evidence that he is definitely one of the aspiring new talents from South Africa’s thriving house scene to keep an eye on. GOGO Music afresh manages to aggregate everything in this release constituting the primal mission of the label, which is to deliver rich, soulful music without conformity, but lots of briskness. GOGO Music … music it is and is it! ‘Burning Star (Incl. Glenn Underground Mix)’ is out now on GOGO Music.